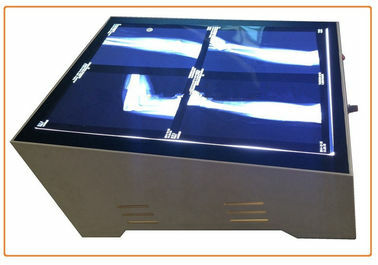 The observation screen and the light road materials are used in the acrylic plate produced by Japan's three Ling Li Yang type society. It has the light translucency beyond the glass, and is durable and durable, ensuring no deformation and discoloration. Adopt the most advanced color TFT LCD backlight technology. Using high brightness LED light source, the flashing frequency is more than 50 thousand times per second, and the eyes can not detect flickers. Even for a long time, the eyes are not easy to fatigue. The lamp life is long, no noise and energy saving. The service life of the LED light source is 50000 hours, which is 20 times the service life of the ordinary fluorescent lamp. Using the working principle of DC constant current and PWM dimming, there is no noise of the traditional view lamp rectifier. The lamp has a very low calorific value, and it is more energy efficient. The power consumption is only 1/3 of the traditional observation lamp. The color temperature of the light source is more than 10000 K and the surface light is designed by natural light. The light propagation is more uniform and the brightness difference is less than 10%. The film image is more realistic and pleasing to the eye, and it is more suitable for the reading film. DL-4300 uses a large angle to adjust the bracket. The view angle of the view lamp can be adjusted in the vertical and horizontal direction. It is convenient for the user to observe the industrial film. When the viewing lamp is horizontally viewed, the user can measure and draw on the film.